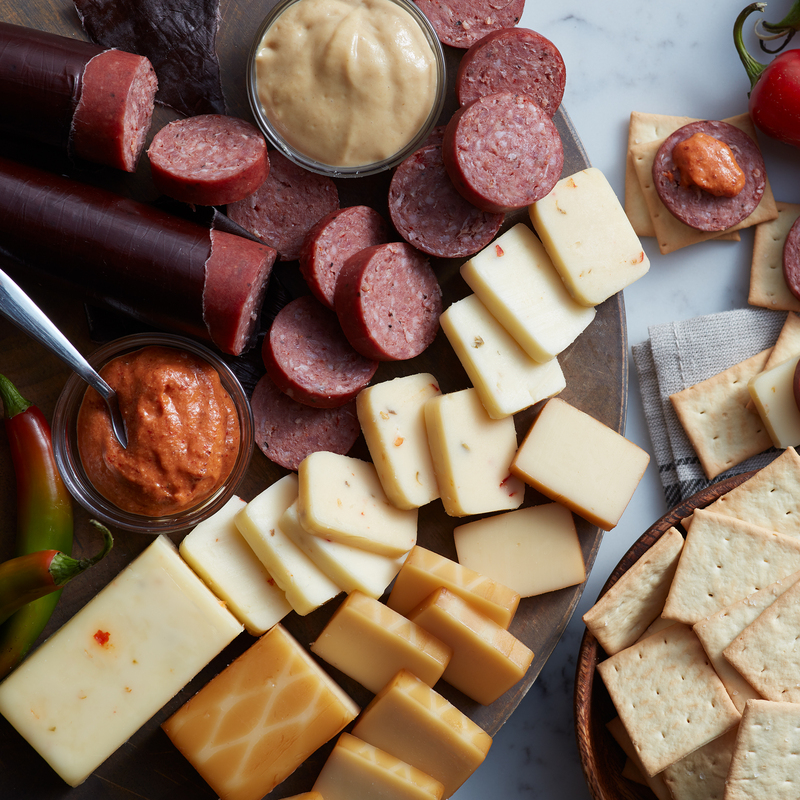 Turn up the heat with this collection of bold flavors! 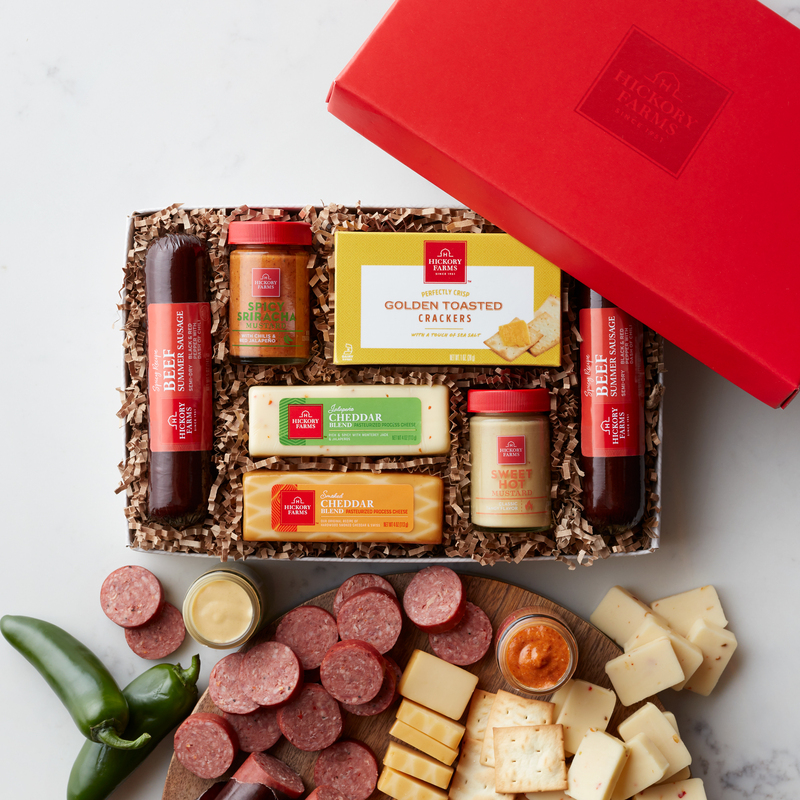 This gift box is packed with our Spicy Beef Summer Sausage, Jalapeño Cheddar Blend and Smoked Cheddar Blend cheeses, classic Sweet Hot Mustard, Spicy Sriracha Mustard, all finished off with crispy Golden Toasted Crackers. 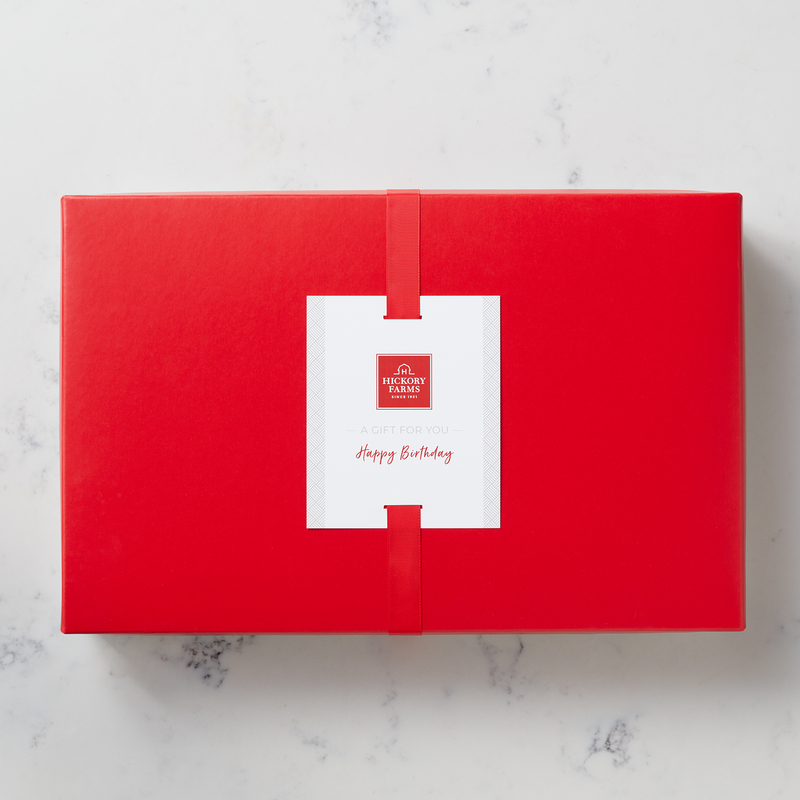 This gift is a great way to celebrate anyone who can't get enough savory, spicy snacks.